Be prepared to vote at the Tuesday, Aug. 7 primary election. Sample ballots and other important election information is available on the Northville Townships website. 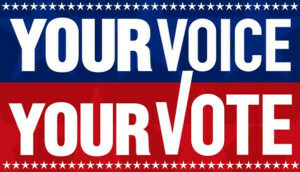 The League of Women Voters provides a non-partisan, online Voter Guide for Michigan’s Primary Election. Visit VOTE411.org to access candidate information and see which office they are running for; it’s localized – simply type in your voting address. Federal, state, county and local candidates/races are all covered in the guide. VOTE411.org contains the candidates’ responses to League questions. The League of Women Voters is the most trusted source of non-partisan election information in the country.